The MANERA socks are made with the most durable and flexible material possible, a skillful blend of Polyacrylic nitrile and Polyester. It is built to cushion your Surf/SUP/Kite board from small impacts and scratches, and protecting your car from wax and salty water when packing the boards in. It is very light, dries extremely fast, and is very easy to pack. 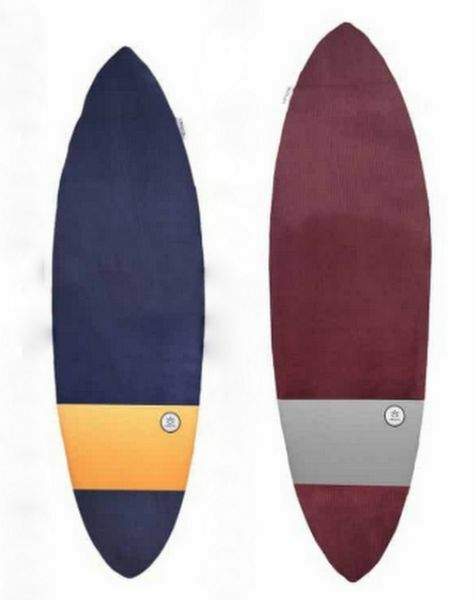 We have many sizes for every shapes and boards, from the 5.8 surfboard to the Race 14ft SUP board.